"Relaxed, friendly and totally professional and the photos prove that! Couldn’t be happier with them. thank you so much Alex. Samantha and Greg got married in the summer at the lovely Seventeenth century York House, which is an elegant venue in Twickenham. They had their reception at The Red Lion Pub, which was the perfect setting for a small intimate wedding day . It was a gorgeous day and the sun shone all day long! Samantha got ready at The Marriott Hotel with her Bridesmaids and daughter Amelia, and the atmosphere was full of excitement and laughter. Sam had booked the very talented Laura from LauviaHair UK as her hair stylist who is a great friend of Sam’s and it was wonderful capturing some photos whilst getting her hair done. The ceremony was an intimate affair in the Terrace Room at York House. The sun started shining though the big windows as Sam walked down the aisle watched by all of their friends and family! During the ceremony they had several beautiful readings from friends and family. It was such a personal service and so meaningful. The service felt very intimate throughout with just a small number of friends and family watching them get married and it was wonderful to be able to capture it for them both. After the ceremony, the couple took a walk through York House Gardens so we could capture some couples portraits. 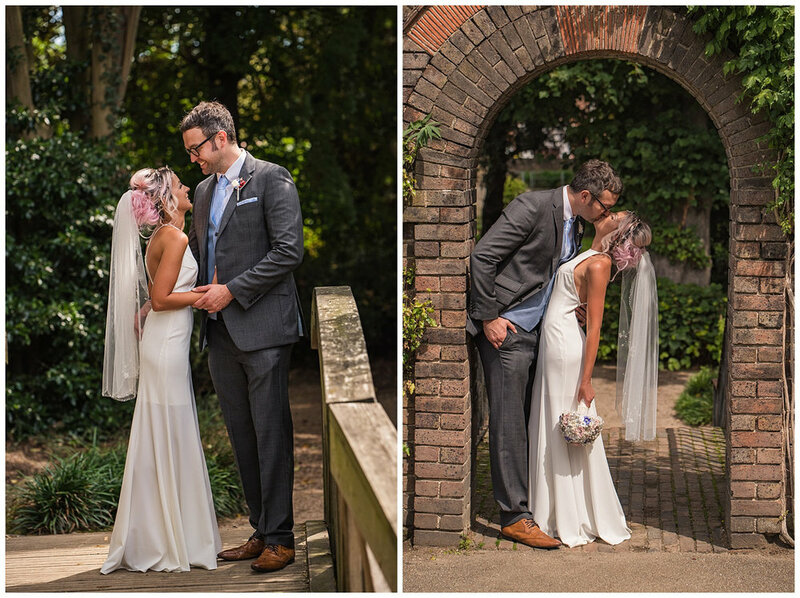 York House Gardens is absolutely stunning for wedding photos, a mixture of arches, stairs and the River Thames all make for a wonderful backdrop for wedding photos! The reception was held at The Red Lion Pub. This was a perfect choice for their reception as they wanted to cater for their family and friends and had somewhere for their daughter and the other children to play. The pub had a very cosy and relaxed feel to it and the food was amazing! It was a light coloured themed wedding, which felt very personnel to the couple. The stunning white flower arrangements were really clean and modern and the little touches of super hero characters were really cool! I love shooting small intimate weddings because they’re always relaxed and it allows me to get lots of images of everyone. Before the end of the day, I captured lots of group photos in the gardens of the pub which involved lots of laughter throughout-the only way group photos should be! Samantha and Greg’s wedding had such a chilled vibe and had such a fun atmosphere. Here’s their wonderful wedding! 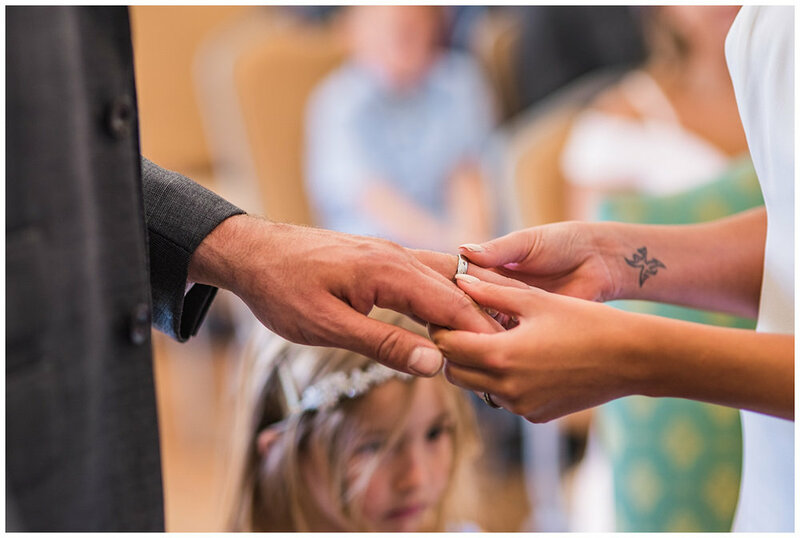 If you’re planning a York House wedding, get in touch!